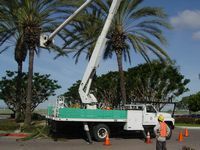 Since our beginning in 1982, A Growing Concern Landscapes, Inc. has built a reputation for credibility in the commercial landscape maintenance field by focusing on team work, providing immediate service and above all, by guaranteeing personalized service suited to the individual needs of our customers. We are committed to providing our customers with the highest level of quality service thereby instilling in our customers the utmost confidence in our ability and the comfort of knowing that they are receiving the quality service they expect and deserve. A Growing Concern Landscapes, Inc. has a staff that includes an arborist, irrigation technicians and a licensed pest control applicator. All of our managers and supervisors have many years of experience in the field of ornamental horticulture. 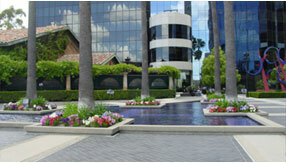 Our company is also associated with a licensed landscape architect. All of our clients needs are met through a full time in-house office staff and uniformed labor force of 100 trained field personnel who are fully aware of the importance of a job well done! 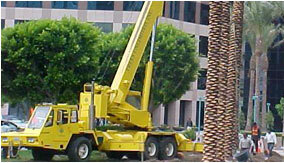 We provide full service commercial landscape maintenance and construction to over 130 valued clients. Our fleet of 70 service vehicles and investment in the latest equipment and technology enable us to provide a top rate commercial landscape experience.